Togetherness is core to our community. 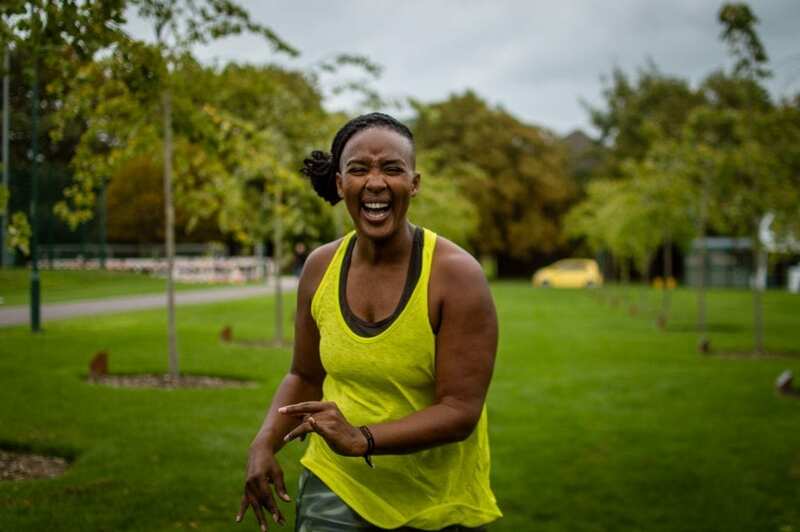 Through our one-to-one coaching, community support and local events we help every woman find her healthy, happy me. Join the private Her Spirit Community and get support, motivation and inspiration to achieve your goals. Building your fitness and total body confidence with easy to follow programmes and videos. Helping you to stop counting and start living and loving food! Giving you the knowledge to take control of your own daily food choices that will boost your energy. 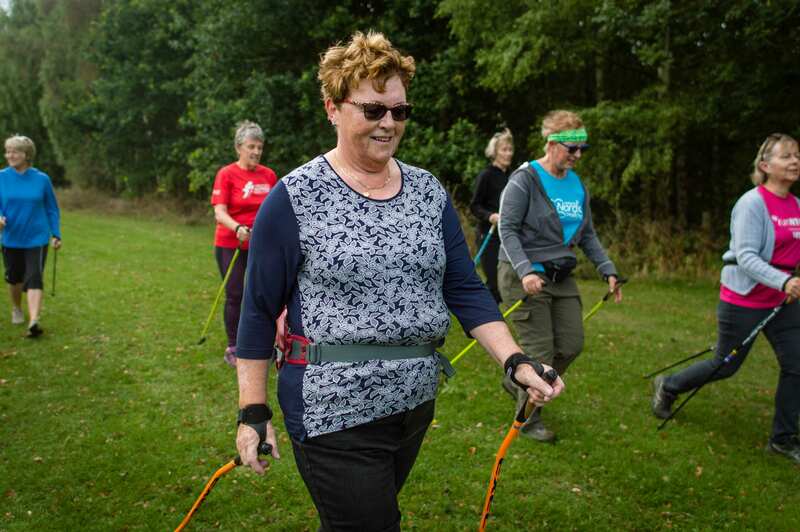 We bring together women of all shapes, sizes, and backgrounds to support and inspire each other to become more active, happy and healthy. 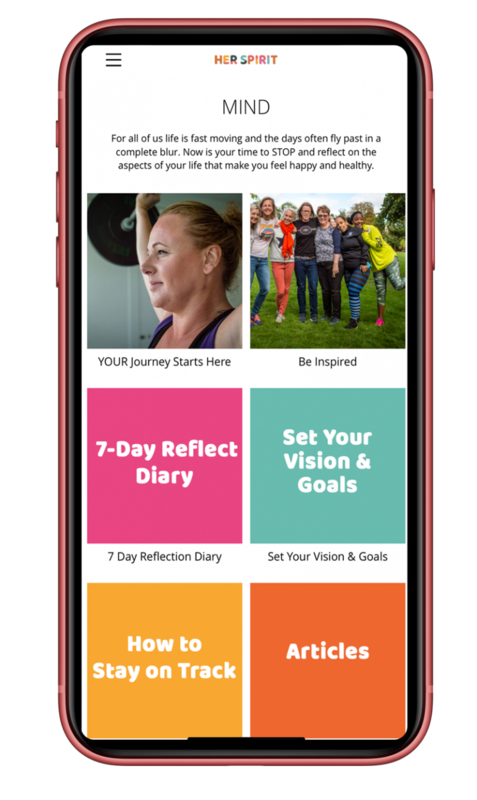 Her Spirit Coaches help you build your confidence, unlock your ‘I can’ mindset and help you take small lifestyle steps that will give you the energy you need to make that transformation to a healthier, happier you. Her Spirit helps you set achievable physical activity and nutritional goals. You can also chose one of our online activity plans to do on your own or with other women in the Her Spirit community. 3 x 1 hour (online/phone) Her Spirit Coach Sessions to help you set your own achievable physical activity and nutritional goals. Available 1 per month in the first 3 after subscribing. Message a Her Spirit Coach anytime and ask for one to one help and support. Her Spirit Support Community to help you stay motivated, learn what does and doesn't work and help you stay on track. 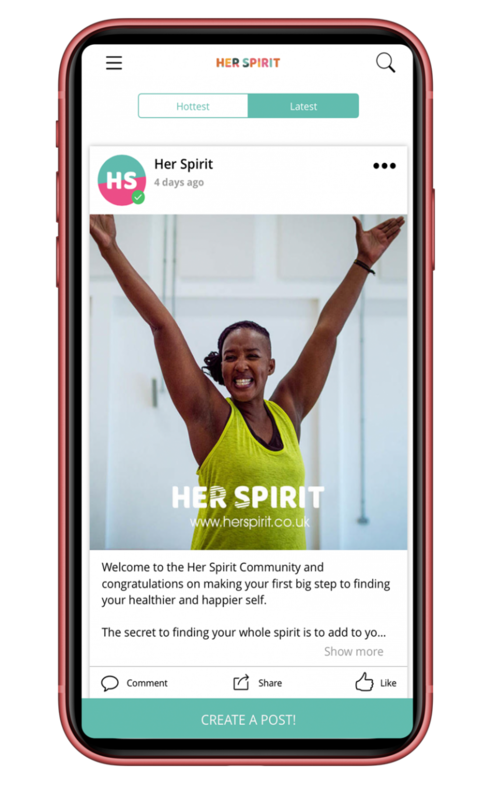 Meet new friends via the app, at Her Spirit events and find friendly local activities to try out in your area. Downloadable Personal Reflect Diary, Goal Setting and Weekly Tracker Tools. Access to a library of Activity Plans and Fitness videos you can download and use at home. 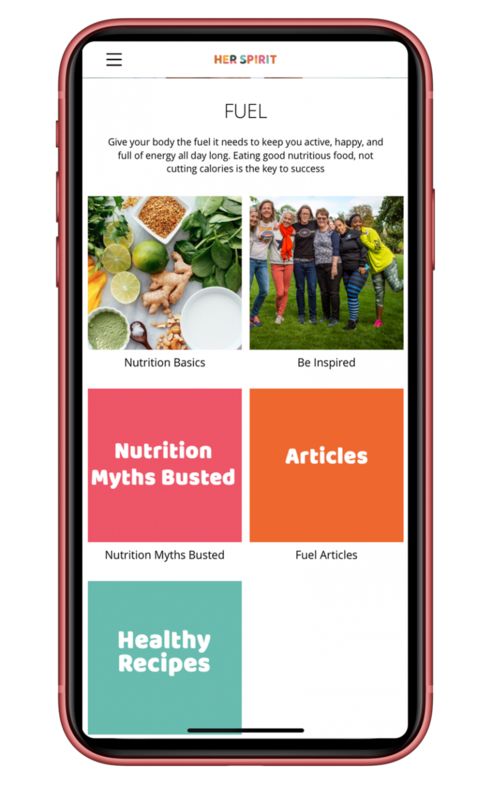 Nutritional advice and myth busting nutrition articles and videos to help you make better daily food choices. Library of healthy recipes and meal planners. Library of healthy recipes created by our very own Her Spirit Community members. Monthly Live streams with our Mind, Body and Fuel Experts. 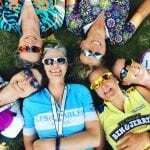 A range of exclusive Her Spirit Adventures to join (i.e Walk, Run, Cycle events). Up to 25% discount on a range of existing events e.g. running, cycling, swimming, triathlon. Latest Mind, Body and Fuel articles that provide you with the latest news and research in health and wellness. Sign up for an annual or lifetime membership and receive a limited edition Her Spirit Official T-Shirt and High 5 Water Bottle and Zero Hydration Tablets.